Brenda Mae Tarpley was born on the 11th December 1944 in Atlanta, Georgia USA, and is a musician and singer, recognized for being one of the best female vocalist of the 1960s, who released such hits as “Rockin’ Around The Christmas Tree” (1958), and “I’m Sorry” (1960) among many others. Her musical career has been active since 1955. So, have you ever wondered how rich Brenda Lee is? According to authoritative sources, it has been estimated that the total size of Brenda’s net worth is over $20 million, as of late 2016. The main sum of this amount of money has been accumulated through her successful career in the music industry. Brenda Lee was raised with two siblings in a very poor family, the daughter of Reuben Lindsey Tarpley and Annie Grace. She began to sing as a child, joining the Baptist church choir every Sunday. When she was only six years old, Brenda participated at a local singing contest, finishing first and winning a live appearance in the radio show “Starmaker Revue”. By the time she was 10 years old, she had performed in a number of television and radio shows, such as the music show “TV Ranch”, among others. Unfortunately, her father died, and her mother remarried to Buell “Jay” Rainwater and the whole family moved to Cincinnati Ohio, and he found a job at Jimmy Skinner Music Center. There, Brenda performed on Sundays, and her performance was broadcast through WNOP, a Kentucky radio station. However, the family soon returned to Georgia, and she found a place on The Peach Blossom Special, aired on WJAT-AM in Swainsboro. Although modest, her net worth was established. Her big break came around when she performed for Red Foley, who was more than impressed by her singing talents, and just two years later, when she was ten, she started appearing on the “Ozark Jubilee”. She was then offered a recording contract by Decca Records, and in 1956 she released her first single, entitled “Jambalaya (On the Bayou)”. The following year, she released several more singles, including “One Step At A Time” (1957), “Ring-A-My-Phone” (1958), while in 1959 out came her debut full length studio album “Grandma, What Great Songs You Sang!”, since when she has released 28 studio albums, and 26 compilation albums, all of which increased her net worth by a large margin. She really came to prominence throughout the 1960s, earning the nickname Little Miss Dynamite because of her stature – 4ft 9 in or 145cm – but powerful voice, with albums “All the Way” (1961), “Brenda, That`s All” (1962), “All Alone Am I” (1963), “Bye Bye Blues” (1966), and the early 1970s “Brenda” (1973), “New Sunrise” (1973), among others, which spawned singles that topped the charts, “I’m Sorry”, “I Want To Be Wanted” “Nobody Wins”, and others that reached high positions, such as “”You Can Depend On Me”, “Dum Dum”, “Break It To me Gently”, “All Alone Am I”, “As Usual”, and many others which boosted the sales of the respective albums, and added substantially to her net worth, especially as she had a record nine consecutive hits reaching Billboard’s top 10. Through 1970s, her fame and popularity began to decline, however, she switched to country music in the late 1970s and early 1980s, and with singles “Tell Me What It`s Like”, “The Cowgirl and The Dandy” , “Broken Trust”, “A Sweeter Love”, returned to a high place in the music industry she. However, it didn`t last too long, as her career again hit the downward spiral, and although she has stayed active until the present day, Brenda didn`t have any more major successes. Some of the albums she has released from 1990s until now, includes “Brenda Lee” (1991), “Precious Memories” (1997), and “Gospel Duets with Treasured Friends” (2007). Thanks to her successful career, Brenda received numerous prestigious awards, including three NME Awards in category Best Female Singer, and Grammy Lifetime Achievement award. Furthermore, Brenda has been inducted into the Rock ‘n; Roll, Country Music and Rockabilly Halls of Fame. 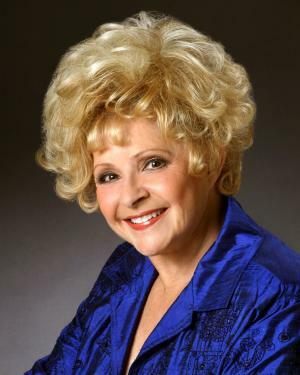 When it comes to speak about her personal life, Brenda Lee has been married to Ronnie Shacklett since 1963; the couple has two daughters together, and three grandchildren. Her current residence is in Nashville, Tennessee.